Let’s get started and make this learning experience fun. I call it the 5-week challenge. It started as a 5-day challenge, but obviously, it was impossible to implement in 5 days or even 10 days, so I renamed it 5-week challenge. 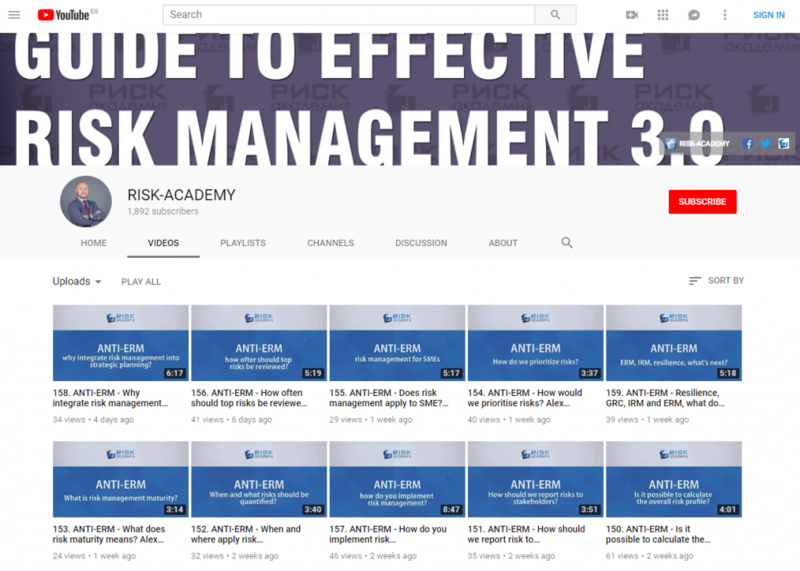 Below is a series of challenges that take approximately 1 week each to help you integrate risk management into the decision making of your choice. Why do this? If you want to integrate risk management into decision making, you first have to choose a decision type or process where you will integrate into. Which decision is best? Something that you are familiar with, more importantly, something where you have a good relationship with the decision owner, who will let you pilot risk management. Preferably it should something with high visibility and something very material to the business. Why do this? Once you have selected a decision, you need to find substance. You need to find out how the decisions are supposed to be done, how they were actually done, what were the results. At this stage, you want to collect as much ammunition as possible to use it next week. Why do this? Once you have selected a methodology, you have to test it to see if it adds any value to the decision makers, not too time consuming and there is sufficient data to perform calculations. That’s it! Well done! You’ve just integrated risk management into decision making. 1) Investigate control problems and vulnerabilities in the process. 2) Establish the desired objectives or effects of the process (by process owner). 3) Develop the alternatives of new controls and present scenarios with decision trees (or any other technique that is not risk matrix or risk registers). At this point, decisions needs to be made: act or not to the identified vulnerabilities. 4) Once the decision is make, test, implement and evaluate the results. 5) If the expected results are obtained, the processes are updated and the personnel is trained. Unfortunately, many internal auditors and internal control professionals present risk analyzes (high, medium, low) to decision makers. That’s what i’m trying to change. You’re rigth, it’s not justify when doing internal control improvement. When we performe risk analysis it’s when we are establishing new internal controls, most of the time in small and medium size companies (10 to 50 workers). What we are trying to do is changing from qualitative risk analysis to quantitative risk analysis. Any advise?